I've currently got some Costco special, oversized pillow pets and book sets shoved up in a linen closet with a blanket covering them. LOL. Yup, that's how we roll. This year I had a few more personalized gifts in mind that I wanted to get going on, and so of course I headed straight to The Vintage Pearl website, and booyah! - was NOT disappointed. Come on! 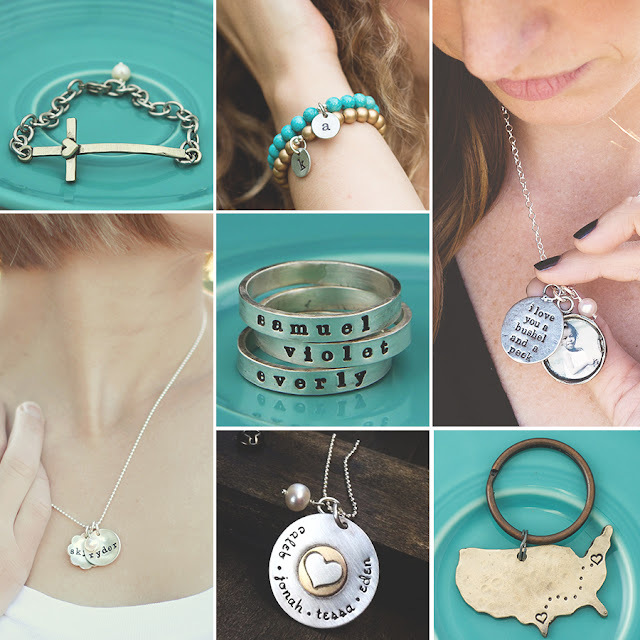 Look how adorable all of these gift ideas are!? They're totally unique and tell such a special story, for whoever is receiving them! 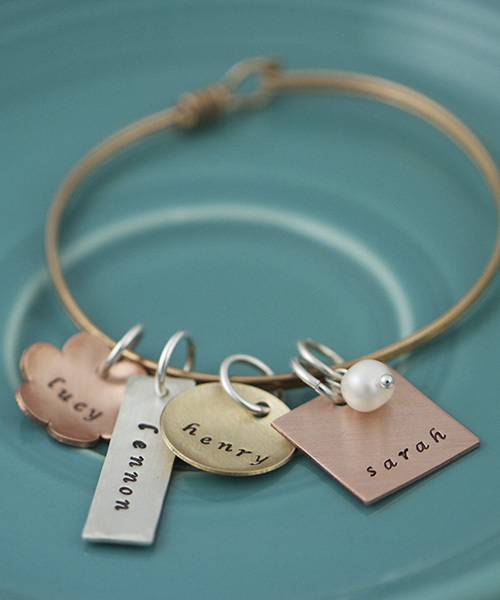 There's something about personalizing a gift that feels WAY more special than just a plain piece of jewelry, am I right!? We constantly say, "Love you more!" and then the other will say "Love you most! 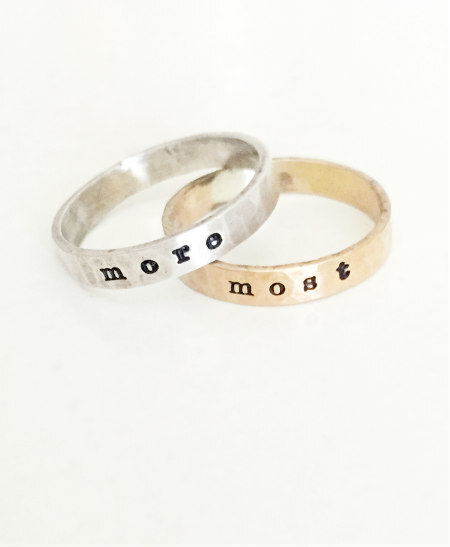 ", so I thought it would be special, instead of just engraving something generic, to put these simple little words on a stack of rings for us to each wear. She's a silver girl, and I love gold, so this little gift worked PERFECTLY, and I was beyond thrilled with her excited reaction when I surprised her with them!!! We also have an awesome giveaway on our Instagram page for 2 $50 gift certificates, so head on over there and enter to win! We'll be announcing the two winners on Thursday. So go, go, GO!